When World War II broke out, Gene Autry was determined to join the armed forces and do his part. On July 26, 1942, during a live broadcast of his radio show Melody Ranch and at the Pentagon's request, he was inducted into the Army Air Forces as a Technical Sergeant. 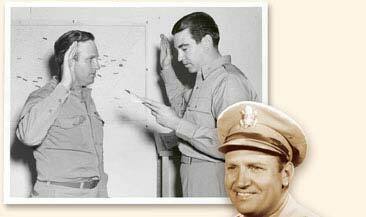 Gene Autry (above) being sworn in as Flight Officer by Capt. Herb Dailey, on 21 June 1944 in Love Field, Texas. With a private pilot's license under his belt, Gene set out to earn his wings as a Flight Officer. After basic training at the Santa Ana Air Force Base, and serving at Luke Field, Thunderbird Field, and Phoenix Airport, he was eventually accepted for flight training at Love Field in Dallas. On June 21, 1944 Gene earned his service pilot wings and was promoted to Flight Officer. He was assigned to the 91st Ferrying Squadron of the 555th Army Air Base Unit, Air Transport Command at Love Field. Flight Officer Autry served with this unit from July 1942 to October 1945. The C-109 was just one of the many plane types that Gene flew. The C-109 tanker is a converted B-24 Liberator bomber. During that time Gene performed duties as a pilot on cargo type aircraft including AT-6s, 7s and 11s, C-104s and C-109s. The C-109's were used to haul fuel in the China-Burma-India theatre of operations. Flight Officer Autry made one trip to the CBI theatre via the Azores, North Africa and the Middle East. Enroute to the Azores the plane he was co-piloting had to reverse course to avoid a typhoon, flying five hours back to Newfoundland, where it landed at Gander Bay with one engine out and low on fuel. Fog rolled in and the crew was grounded for two weeks. But they completed their mission. 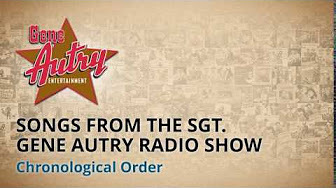 A week after Gene was sworn into the military live on his radio show, the Gene Autry Melody Ranch radio show became the Sgt. Gene Autry radio show on August 2, 1942. The program was part of Gene’s regular duties in the Army Air Forces and still had his music, comedy, and action in a dramatic story but now with a military theme. The songs were patriotic, the comedy based on military life as a soldier, and the stories were dramatization "based upon an actual incident recorded in the files of the United States Army Air Forces, and characters were portrayed by a cast of professional actors." Many shows were broadcast from Luke Field in Arizona with an audience of soldiers stationed there. The Sgt. 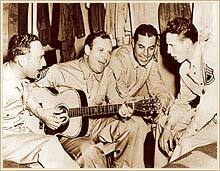 Gene Autry radio show ended on August 1, 1943 when Gene was given new orders. 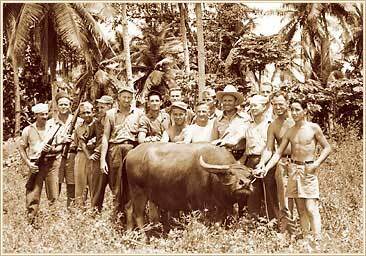 At the end of the war, Gene transferred to Special Services at which point he took a USO troupe to the South Pacific. He was honorably discharged from the service in 1946. During the war, Gene was awarded the American Campaign Medal, the Asiatic-Pacific Campaign Medal, and the World War II Victory Medal. In 1955 Gene Autry received a letter from Headquarters, Continental Air Defense Command: George F. Smith, Major General, USAF, Chief of Staff. The letter closed; "The United States Air Force is proud to have Gene Autry as a former member of this organization." No one was prouder than Gene himself. 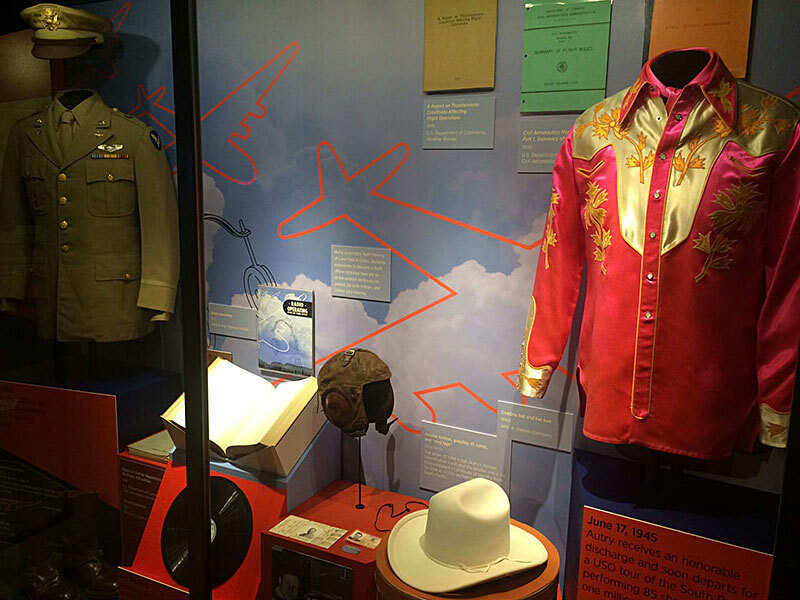 In honor of the 75th anniversary of Gene Autry’s enlistment in the military, the Autry Museum of the American West in Los Angeles, California debuted a special case titled "The Cowboy Is a Patriot: Gene Autry in World War II." Read about this in the News section of our website here. Read More About Gene's Military Career! Grateful appreciation is given to James E. Wise, Jr. and Paul W. Wilderson III for their research, documentation and compilation of Gene Autry's military career. 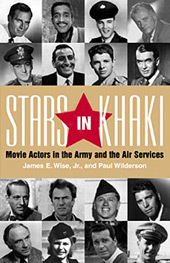 For more information on celebrities in the military, read their book Stars In Khaki: Movie Actors in the Army and the Air Services, published by Naval Institute Press © 2000.